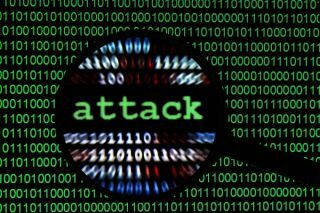 If hit by a cyberattack, most companies wouldn’t know what to do, new research has found. According to a report by the Ponemon Institute and IBM Resilient, which says incident response plans (CSIRP) aren’t something most companies have, or have applied consistently throughout the organisation. The report is based on a poll of 3,600 security and IT professionals, and claims that more than three quarters (77 per cent) don’t have CSIRP. The UK individually is only marginally better, with 75 per cent of respondents saying they don’t have a company-wide CSIRP. A quarter (28 per cent) has CSIRP, but it’s not applied consistently, and another quarter (25 per cent) said the plan was “informal” or “ad hoc”. Of those that do have a plan set up, more than half don’t test it on a regular basis. UK companies are doing somewhat better on this field, with 45 per cent of organisations not testing their CSIRPs regularly. Consequently, a quarter (25 per cent) of organisations have enterprise-wide CSIRPs, and 55 per cent of those are regularly trialled. The report also touches on a few figures about actual cyberattacks. In the last two years, more than half suffered a data breach. Of those that did – half experienced more than one attack. A fifth (19 per cent) suffered five or more. Companies agree that the severity of these incidents is increasing, and so is the volume. Companies that react on time, and manage to contain and eliminate a cyberthreat within a month can save more than a million on the total cost of data breach – on average.